Visit Us at the Tribeca Film Festival TOMORROW! We’d love to see you tomorrow at TRIBECA ON LOCATION, the Tribeca Film Festival’s Street Fair! 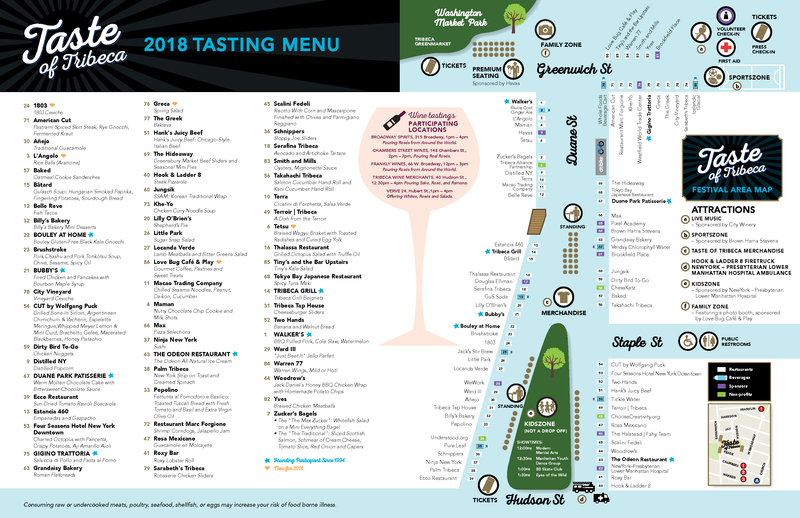 Look for our booth on Greenwich Street at Duane and buy your 2016 Taste of Tribeca tickets, as well as Taste of Tribeca T-shirts, water bottles, scarves and more!